Horrorscreams Videovault - UK based horror site with news, reviews, interviews and more. : 'NOCTURNE' IS OUT NOW. WILL YOU FACE THE DEVIL? 'NOCTURNE' IS OUT NOW. WILL YOU FACE THE DEVIL? 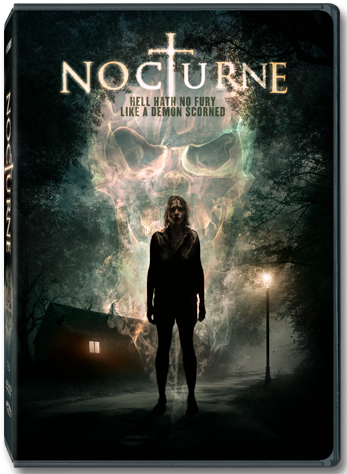 Out now from Monarch Home Entertainment is Steve Shimek’s NOCTURNE. The film involves a late night gathering and a seance. A spirit is invited to the party, leaving a group of friends fighting for their lives. The film stars: Clare Niederpruem (The Maze), Darien Willardson (Storm Rider) Melanie Stone, Colton Tran and Jake Stormoen. Jo (Niederpruem) has something to hide from her past. Her unsuspecting friends perform a late night ritual, which opens a hellish gate. Now, Jo is forced to confront her mistakes as her friends try to escape a supernatural spirit! The film is available at most DVD retailers, including Amazon. This title will release in an unrated version. You can check out the DVD artwork for NOCTURNE below along with the trailer.